While the formation of nitric oxide in diesel engines has been extensively investigated in the past, the processes of the engine-internal formation of nitrogen dioxide are only hardly known. Although nitrogen dioxide represents only a small proportion of the total nitric oxide emissions, the highly reactive species plays an important role in exhaust gas aftertreatment. The current FVV research work at the KIT aims to develop a basic understanding of the processes and mechanisms in the engine-internal formation of nitrogen dioxide. The research project Bildung/Modellierung NO2 (project number 1173) was funded by the Bundesministerium für Wirtschaft und Energie (BMWi) and supervised by the Forschungsvereinigung Verbrennungskraftmaschinen e.V. (FVV) . The authors would like to thank for the financial funding and the support of the supervising working group under the chairman Dr. Frank P. Zimmermann, Daimler AG. We would also like to thank Dr.-Ing. 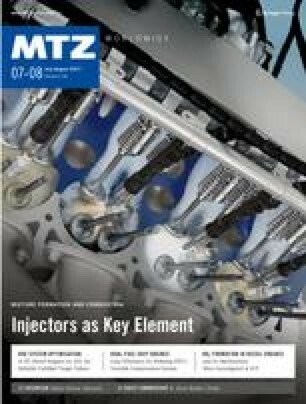 Amin Velji, Institute of Internal Combustion Engines at the Karlsruhe Institute of Technology, for his contribution to the research project as well as to this publication.